Remote Utilities 6.6.0.5 offers an improved MSI Configurator and a new update mechanism that makes updating Viewers and Hosts easier. If you ever mass-deployed custom-built Hosts and Agents across your network you probably already know how to use the MSI Configurator tool. With each new version we have been continuously improving it and this version is no exception. 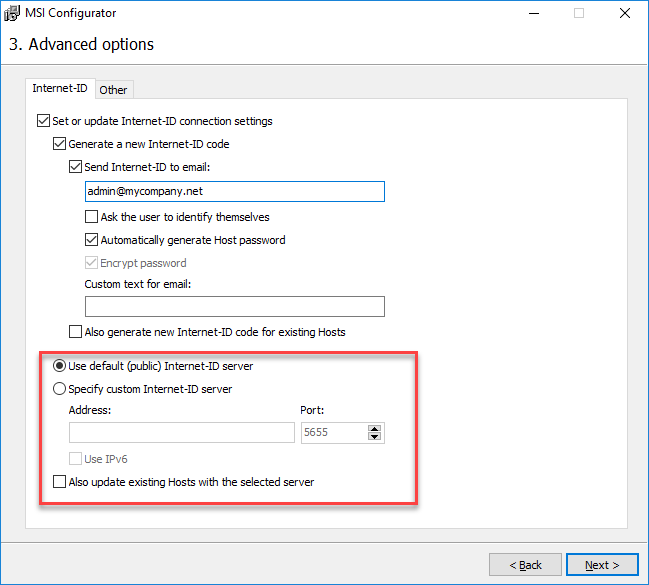 Previously, in order to change the Internet-ID server settings you had to select “Pre-configure Host settings” in the last step, wait for the "Settings for Host" window to appear and change the settings there. Remote Utilities 6.6 is now available for download. Learn what’s new in version 6.6. Searching scope (2) is limited to the currently selected folder or address book. If you want to search in a different address book just select that book in the left pane. 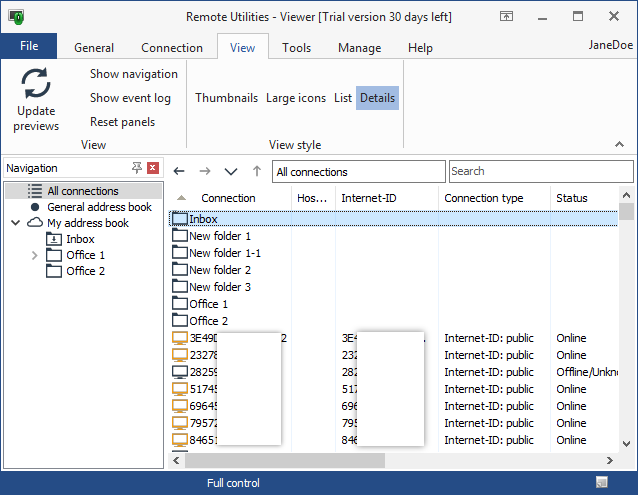 When used together with columns in the Details view the All Connections folder allows you to quickly manage your connections regardless of the folder they are located in. 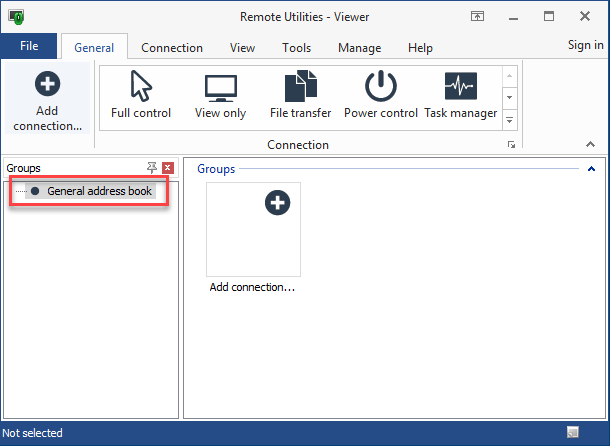 This blog post gives some details about how address books work in Remote Utilities and introduces local address book encryption that became available in version 6.5. 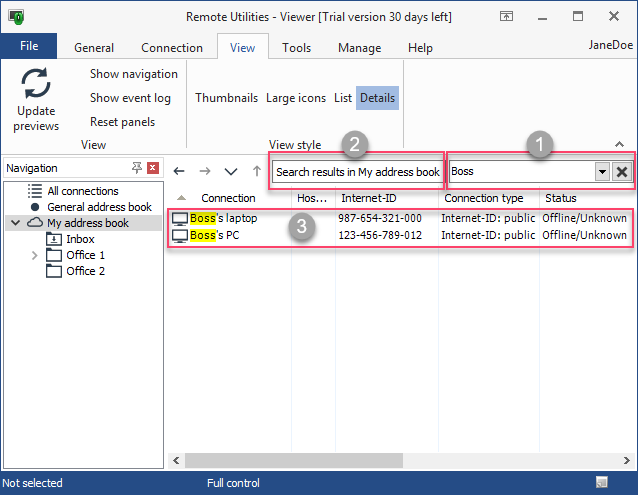 Unlike many web-based tools Remote Utilities is stand-alone software that always stores its address book on the local disc. This also applies to synchronized address books - in this case the local copy is in sync with a remote address book. Version 6.5 Beta 4 is available for download. This version includes minor fixes, namely a fix that should reduce an excessive number of antivirus software false positives.